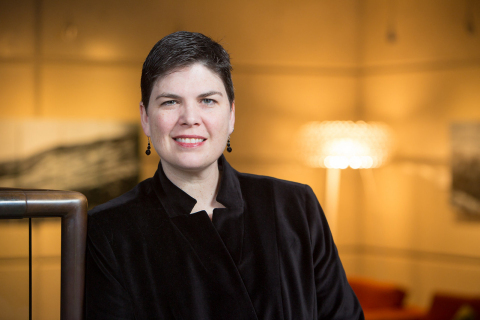 TACOMA, Wash.--(BUSINESS WIRE)-- TrueBlue (NYSE:TBI) today announced that Chief Marketing Officer (CMO) Maggie Lower has been named to the “OUTstanding LGBT+ Executives 2018, presented by the FT” list. Since 2013, the OUTstanding list, presented by the Financial Times (FT), has recognized LGBT executives and allies who are not only successful in their own careers, but also in driving cultural change and creating supportive workplaces for other LGBT people. Lower joined TrueBlue in January 2018 as the company’s very first CMO. She leads TrueBlue’s digital, brand marketing, innovation and communications strategies at both the enterprise level and for each of its brands - PeopleReady, PeopleManagement and PeopleScout. NACD received nominations for 25 different companies’ boards, and from that, chose winners in just four categories.